We use superior engineered basement foundation systems, 2×6 framing, 5 star energy efficient design and mechanicals, and have several plans that will go on these parcels. 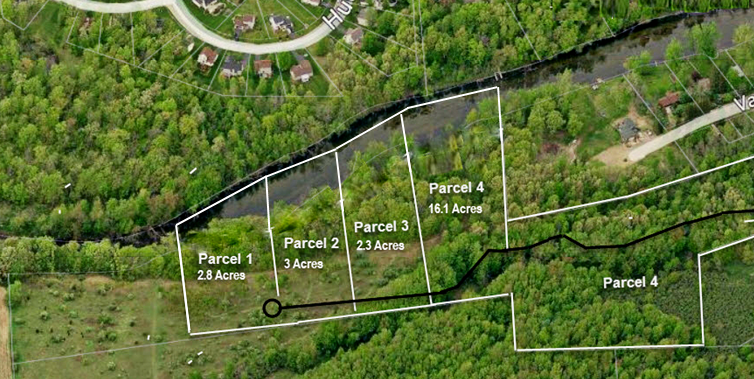 4 Waterfront lots on the Huron River. 1350 feet of river frontage combined with boatable direct access to Zukey Lake chain. Each lot is high and dry with sandy soil. Winding, wooded private drive is off Hamburg Court at Winans Lake Rd. Very exclusive and private. Just a unique property that is quite special. You will want to see it for yourself! We would love to assist you in finding your next home.